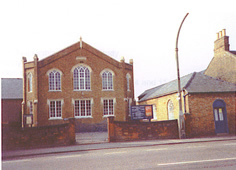 Emmanuel Church meet at East Part Street in Chatteris. It is a Local Ecumenical Partnership of the Baptist, Methodist and United Reformed Churches. We have about 100 people at the moment and are growing. We have our own Worship Group, A4J.